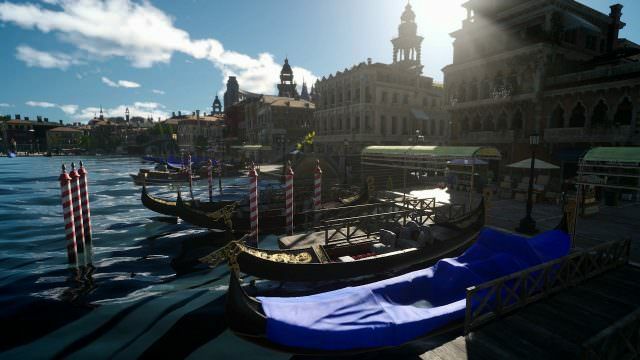 FAQs for Final Fantasy XV are found here. Answers to the basic and most commonly asked questions are located on this page. The game is a standalone story, so no prior experience with the franchise is needed. 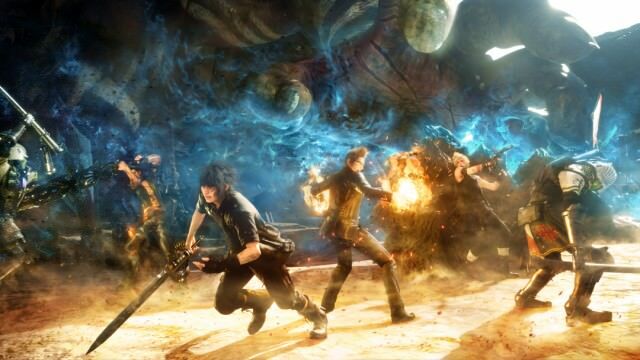 The story centers around, Noctis, the prince of the kingdom of Lucis who is sent to wed his betrothed Luna and is accompanied by his friends Prompto, Gladio, and Ignis on the road trip using his father King Regis’ car, the Regalia. Along the way he learns of a hostile takeover under the guise of a peace treaty by the Nilfheim Empire. This is where the story’s dramatic tension begins and uncovering the truth is the impetus forward. The game is completely open world, giving you the freedom to either follow the main quests or engage in any manner of sidequests, mobhunts or mini-games. The name of the world you will explore is Eos. Combat is real time and party based but you only have direct control of Noctis. You have 4 equipment slots for weapons, shields and magic. During combat, you can use your warp-strike to teleport all over the battlefield, dealing surprise blows to enemies or escaping to safety. You can issue commands to your teammates to perform special abilities and combat maneuvers. There are 2 different kinds of magic, Ring Magic and Elemental Magic . Ring Magic is story based, but Elemental Magic consists of Fire, Ice and Lightning. You will harvest elemental energy from deposits around the world and then fill them into a magic flask. Through Elemancy, you will combine the elements you have harvested with items to create the spells you will be using in combat. Eventually you can wind up with spells like Healcast Fire which combine fire damage on foes with a healing effect on yourself. There are a variety of weapon classes in the game that you will be able to experiment with in the game, from greatswords to daggers to firearms. Noctis can use any class of weaponry, with the other party members restricted to certain types. The car, the Regalia can be manually driven or be put on auto-pilot. It can be fully customized both cosmetically and functionally. There are other methods of transportation such as Chocobos which are useful for shorter travel over off-road terrain. Ascension is the ability progression method in the game. As you progress through the game by leveling up and defeating enemies, you’ll earn AP (ability points) which can be spent in the Ascension grids. Each character can be improved via Ascension so it will be important to spread the love. The grids like Combat, Recovery, Teamwork and others allow for deeper specialization of the characters. Series icons like moogles, cactuars, chocobos and summons are all present. Even though the game is standalone it wouldn’t be Final Fantasy without these longstanding traditions.